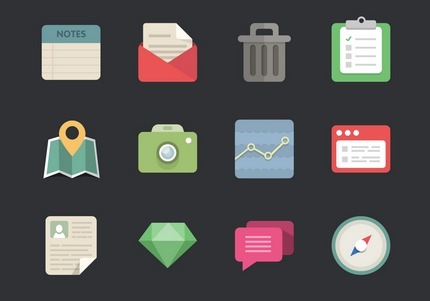 We just look around on the web and this 48 new flat designer icon is we found on webdesignerdepot you can download it for free on that website. This all are new series of icons 2013 which have .png format and .ai files in it. Icons are having a great pixel ratio with multicolor seems like google phone icons you can modify your website with these beautiful flat icons. In this pack have many icons like Facebook icon, setting icon, gallery icon google plus icon, message icon and many more.